CITY OF KINGS 4D / 3N|LimaTravel V.I.P. Highlights: Visit Lima, Capital of Peru and gastronomical capital of Latin America, enjoy the world's highest and largest water sources "record güines winner", Musiculinaria experience, "Gastronomic and Musical Show of Latin America", visit the Bohemian neighborhood of Barranco and then The Archaeological tour to Caral "considered the oldest city in America". Tour Musiculinaria (Cultural and Gastronomic Lima Tour) 15:00 hrs. – 19:00hrs. At the appointed hour, we will be leading you to discover the beauty of Lima, visiting its main architectural monuments beautifully illuminated under the peace and charm of Lima at night. Also enjoy this guided experience to the world's largest font complex, certified by Guinness World Records. 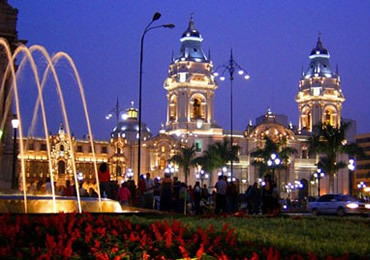 Here you can enjoy one of the most attractive places of Lima. "The Magic Water Circuit". At the appointed hour our staff will lead you to discover the beauty of Lima, visiting its main architectural monuments beautifully illuminated under the peace and charm of Lima at night. Also enjoy this guided experience to the world's largest font complex, certified by Guinness World Records. Here you can enjoy one of the most attractive places of Lima. "The Magic Water Circuit". Our tour starts with the Historic Center of Lima, where beautiful monuments and amazing colonial buildings will be appreciated, including The Paseo de la Republica, San Martin Square, The Plaza Mayor, The Government Palace, The Archbishop's Palace, The Municipal Palace, among others. You will be able to make an unforgettable photo session, with all the serenity that Lima at night offers and having as background these magnificent attractions beautifully illuminated. Then visit the surpassing ornamental fountains of water whose powerful jets combine with the rhythm of classical music, and the spectacular lasers are mimicked with water fluids drawing multicolored shapes that make us fantasize for a few minutes with a cyber future. This center of the water park is a joint of more than a dozen fountains, each with its own display of geysers that drive the water up to more than 80 meters in height. With respect to these peculiar characteristics, we can tell you that this park is a winner of the Guinness Record as "The Wold Biggest Magic Water Circuit" or the World's largest Fountain Complex, a very important prize for the pride of the Peruvians. Here you can enjoy a wonderful spectacle of water, light, music and images, presented in the famous Parque de la Reserva, one of the most beautiful urban spaces of our Lima Tour. Caral is the third oldest place in the world, contemporary with the pyramids of Egypt, it is surrounded by mountains, located 190 km to the North of Lima, It is the oldest civilization of America and has an antiquity approximately of 5,000 years. There is still no evidence to clarify why the people who lived in Caral left their lands, or evidence to explain what the system of communication was or the way to exchange their products were used with other societies located 1,000 km away. Visiting the Sacred City of Caral is a fascinating experience, from beginning to the end. 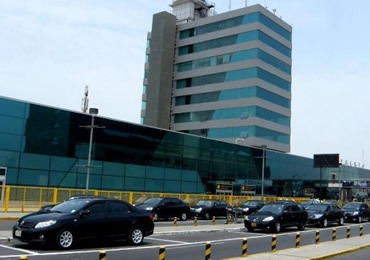 Pick up time from 7:15 am to 7:45 am from the hotels in Lima. Departure from Lima to Caral, located at kilometer 182 of the North Highway (Panamericana Norte). On the way we will take pictures in some scenic places. We will continue our trip to Caral, arriving at the detour point at 10:30 am. We will start our entrance to Caral at 11:00 am. , will proceed with the registration and purchase of entrance tickets and then start the tour with a local guide. The total guided tour lasts approximately 2 hours. 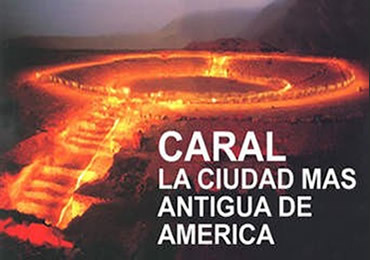 After the guided tour in the Citadel of Caral, we will head to the city of Huacho, where we will have a delicious lunch. At 7.30 pm we will be arriving to Lima. DAY 3. Musiculinaria Tour "Gastronomic Experience and Show in Lima"
Peruvian gastronomy is a kind of celebration of Peru. A country with a millenary tradition and a promising future that does not lose sight of its roots and where the art of good eating stands out among its inhabitants as one of the most distinctive signs of their identity. The city of Lima has been declared the gastronomic capital of Latin America thanks to the breadth and exquisiteness of dishes approved in a decisive way by the most prestigious chefs and specialists in the subject. 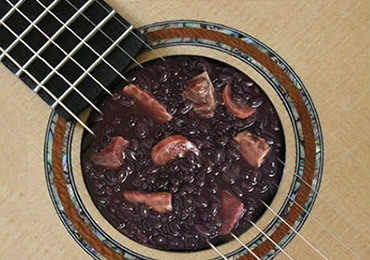 Discover the secrets of the gastronomy and Peruvian music accompanied of a show of talents with Lima Travel. Our adventure begins since the moment we pick you up from your hotel, 15:00 hrs, then we will head to Barranco's Bohemian district. During this trip we will be able to enjoy the architecture of the neighborhood of Barranco as the bridge of the sighs between other emblematic places.